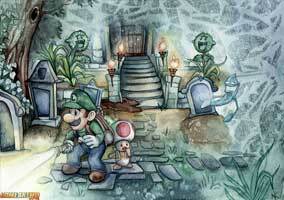 Luigi’s Mansion 2, known in the USA as Luigi’s Mansion – Dark Moon is the second part of the series and made for the Nintendo 3DS by Next Level Games. It was released in March 2013 and received overall very positive reviews by fans worldwide. 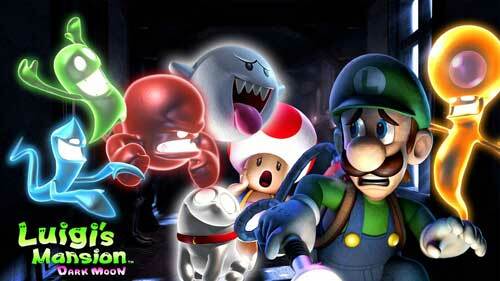 In Luigi’s Mansion Dark Moon, controls Luigi, who is equipped with the “Poltergust 5000”, a specialized vacuum cleaner used to capture ghosts. The main goal is to retrieve the pieces of the shattered Dark Moon, a magical object that has a pacifying effect on the ghosts residing in the game’s setting.